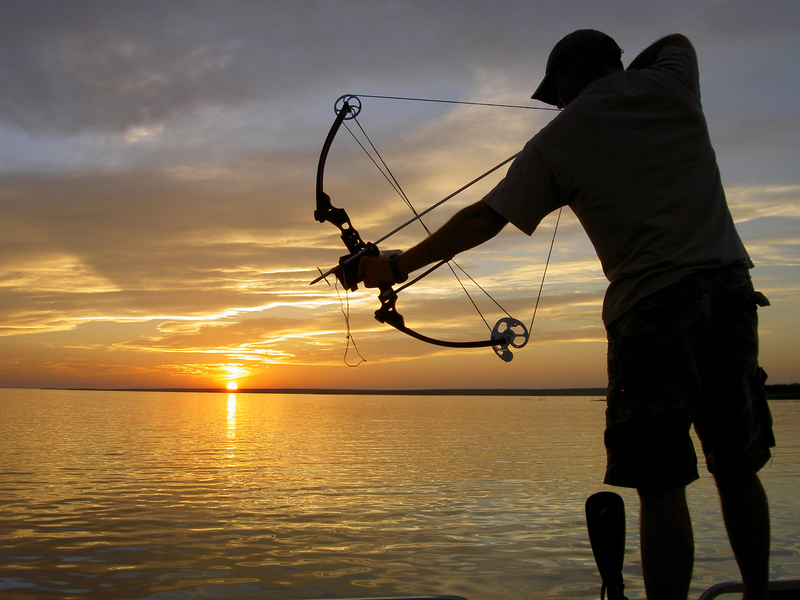 Bowfishing for Carp – Hunting or Fishing? Answer: While the practice of bowfishing for carp may seem like a combination of hunting and fishing, it is considered fishing and thus you are required to have a fishing license to do so. Sport fishing regulations permit bow and arrow fishing for the following nongame species only: carp, goldfish, western sucker, Sacramento blackfish, hardhead, Sacramento pikeminnow and lamprey (for specific areas and exceptions, see California Code of Regulations Title 14, section 2.25 on page 15 of the sport fishing regulations booklet). When bow and arrow fishing, make sure the tackle has the arrow shaft, the point or both attached by a line to the bow or to a fishing reel. This rule also applies to crossbows (CCR Title 14, section 1.23). Shooting at varmints from a car roof top? Fishing for halibut with grunion? Answer: Yes. Grunion may be taken June 1 through March 31 and there is no bag limit. Grunion may be taken by hook and line or by hands. No appliances of any kind may be used on the beach to take them, and no holes may be dug in the sand to entrap them (CCR Title 14, section 29.00). When catching grunion on the beach, we recommend that you wait until after they have spawned and are returning to the ocean to take them. Can my son carry a BB gun when he comes hunting with me? Answer: I applaud you for introducing your son to the outdoors and including him in your hunting excursions at such a young age! Unless there is a county ordinance prohibiting the discharge of a BB gun or air rifle in the area where you’re hunting, and as long as he is not shooting at wildlife, it should be fine for your son to legally carry his BB gun with you and the rest of your hunting party. Enjoy your time together! This entry was posted in Archery, Fishing, Freshwater Fishing, Lines/Rods/Equipment, Methods Of Take, Methods Of Take, Nuisance Animals & Pests, Private Land, Roadways, Saltwater Fishing, Small game, Tackle, Uncategorized and tagged archery, bowfishing, firearms, hunting, nongame mammals, ocean fishing, target shooting. Bookmark the permalink.